Onions are a staple in almost every kitchen. They’re perfect for flavoring a lot of different dishes and they go perfectly with a crisp salad. Cut them into rings and fry them up, and they’re delicious all on their own! But, did you know that onions have many surprising health benefits? Read on to find out how this simple food can help with a variety of health issues. Whether you have a cough from allergies to the common cold, it can be annoying, uncomfortable, and unhealthy. 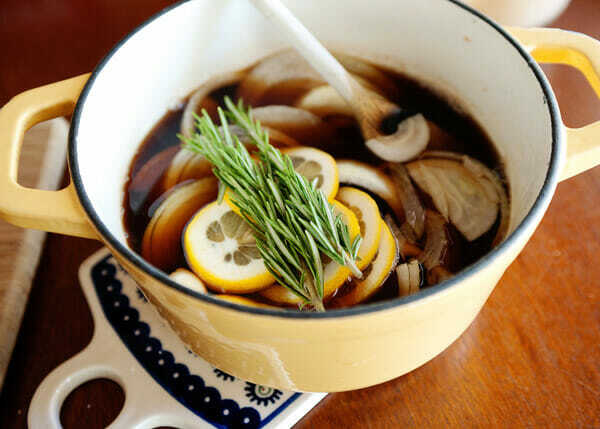 However, using onions can help relieve your cough. 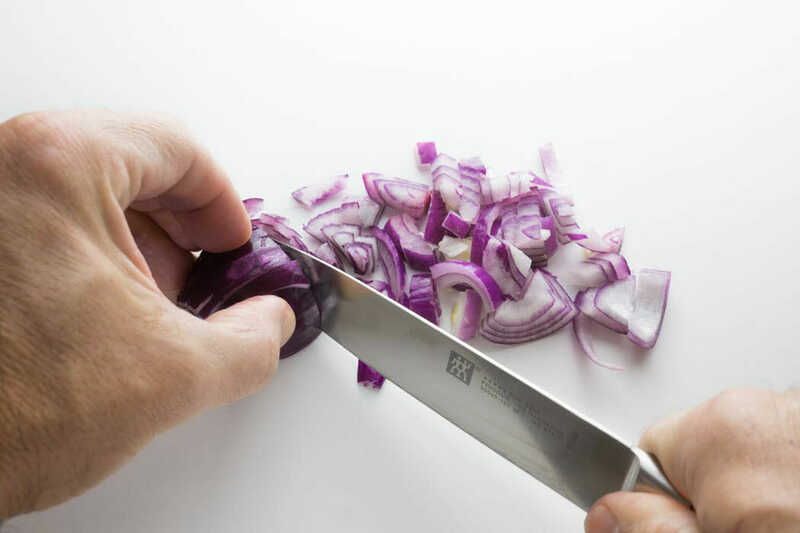 Peel and cut an onion into slices. Put a tablespoon of brown sugar over each slice and cover them for an hour. Eat a slice or two twice a day to get rid of your cough. The sulfur in onions has anti-bacterial properties that kill cough-causing microbes. Sulfur also works as a detoxing agent to release toxins from the body. Its anti-inflammatory properties are useful in reducing the pain and inflammation associated with a cough. Boil water with an onion in it and then use it as a pre-shampoo rinse. Washing and conditioning afterward will remove any smell. The antimicrobial properties of the onion will stop dandruff and promote new growth, while the antioxidants will stop hair loss and also help it to grow stronger and fuller. There are chest salves on the market that help with congestion, but onions offer a more natural solution. Crush up an onion and add coconut oil to make a paste. Coat your chest with the paste and cover it with a dish towel. 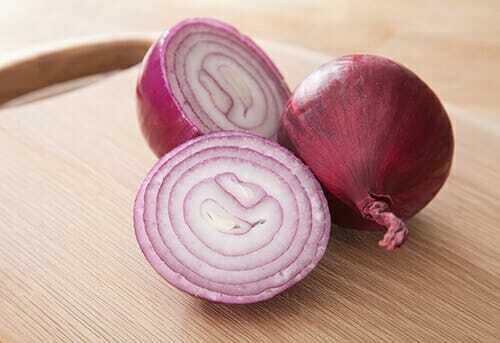 The vapors that onion gives off also work as an expectorant to loosen the mucus in your chest that causes coughing. In addition, onions are a natural antibiotic and strengthen the immune system. Chop up an onion and put it inside of a thin sock. Tie the sock closed. Put the sock over your ear and hold it in place with a hat, bandana, or scarf. Leave it on until the pain improves. First, make an onion tea by boiling a diced yellow onion in water. Allow the tea to cool, then drain the water. Give one teaspoon of the onion tea every hour until baby feels better. Onions have properties that will relax muscles and regulate digestion. 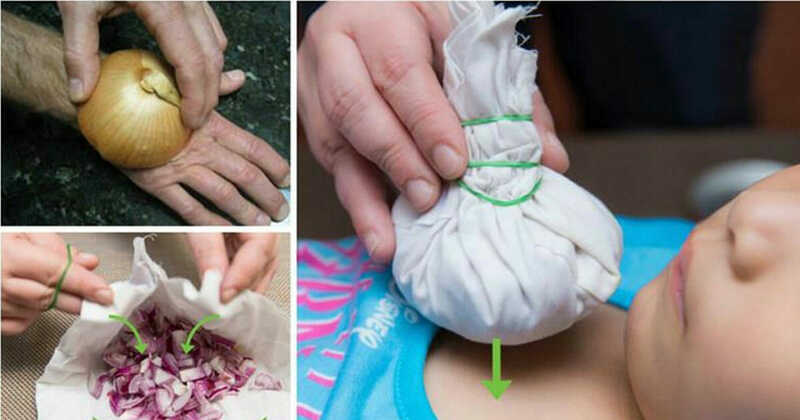 Put a piece of onion or some fresh onion juice onto a bug bite to soothe it. The anti-inflammatory properties of an onion will reduce the inflammation and pain from caused by the bite. Use the film that covers an onion’s skin to help heal cuts. The skin works as a coagulant and helps to stop bleeding quickly. The anti-inflammatory properties help to heal the wound, while the antimicrobial properties will prevent it from getting infected. Honey mixed with onion gives relief from a sore throat. Cut few pieces of onion and add honey to it. Let it sit for few hours in a closed cup. Have a spoon of honey once every two to three hours to reduce pain. Grate an onion and squeeze it through cheesecloth to collect the onion juice. Brew some peppermint tea and let it cool. Drink two teaspoons of the onion juice and wait five minutes. Then, drink two teaspoons of peppermint tea. Repeat this until you stop vomiting. Onions have a strong smell, but surprisingly, they can actually clean the air. Cut an onion in half and leave it uncovered in a room. The onion will purify the air by absorbing bacteria and viruses. Rub some fresh onion on common burns and sunburns prevent infection. The sulphuric compounds will speed skin regeneration and reduce pain and redness. Cut an onion into thin slices. Next, run some coconut oil on the bottom of your feet and apply the thin slices onto the arch of each foot. Wrap your foot in plastic wrap and cover with a sock. The onion can help draw out toxins, bacteria, and sickness from the body overnight. Do you have any uses for onions? Please share this post and tell us your ideas!